Apink wins their second triple crown of the week on MBC Music Core on December 20th with their hit “LUV,” and celebrates with adorable group images to show their thanks to fans. Going up against Yoon Mi Rae’s “Angel” and G-Dragon x Taeyang’s “Good Boy,” Apink takes over with 7,185 points, officially taking up their 3rd win for Music Core. This trophy also represents Apink’s 10th overall music show win for “LUV” as well, following their 1st triple crown win on SBS MTV’s The Show earlier this week. Congratulations to Apink on their win! 내일 SBS 가요대전 본방사수 !! 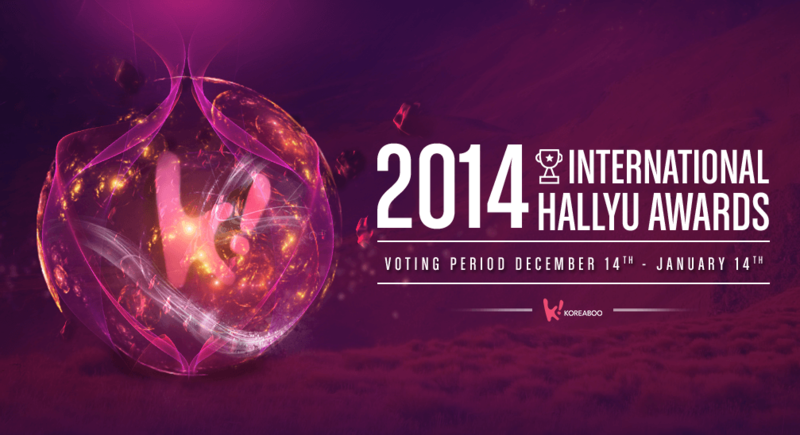 Vote for Apink at the 2014 International Hallyu Awards for Artist of the Year, Song of the Year (Mr.Chu), Best Female Dance Performance, and Best Female Group!